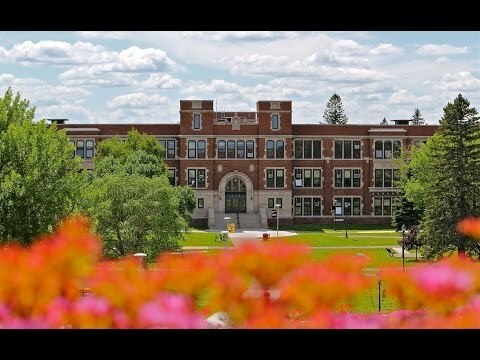 Founded in 1893 as the Superior Normal School, the University of Wisconsin-Superior was created to educate teachers. Since our founding, UW-Superior has been a frontrunner in the UW System for its offerings in PK-12 education. Teacher education graduates are highly regarded by their employers; and many have won teaching awards at the district, state, and national levels. Education students work with children in local classrooms early in their program. Our Field Experience Coordinator assists in finding each student an individual placement in a classroom. More than 90% of education graduates find jobs teaching in PK-12 schools, but some continue to graduate programs or the private sector. UW-Superior's Teacher Education programs prepare students for licensure in Wisconsin. Students earning a Wisconsin teaching license may be eligible for licensure in other states, including Minnesota. UW-Superior's Elementary Education major prepares students to teach either grades PK-6 (age birth through age 12) or grades 1-8 (age 6 through age 13-14). An Early Childhood Education minor would lead to licensure for grades PK-6 (age birth through age 12). This would allow you to work in early childhood/head start programs, 3K, 4K and preschool classrooms. An English minor would lead to licensure in grades 1-8 (age 6 through age 13-14) and would allow you to teach elementary school and middle school English. A Health minor would lead to licensure in grades 1-8 (age 6 through age 13-14) and would allow you to teach elementary school and middle school health. A Language Arts minor would lead to licensure in grades 1-8 (age 6 through age 13-14) and would allow you to teach middle school English and other language arts classes like creative writing, communication and public speaking. A Math minor would lead to licensure in grades 1-8 (age 6 through age 13-14) and would allow you to teach elementary school and middle school math. A Science minor would lead to licensure in grades 1-8 (age 6 through age 13-14) and would allow you to teach elementary school and middle school science classes like life science, physical science and earth science. A Social Studies minor would lead to licensure in grades 1-8 (age 6 through age 13-14) and would allow you to teach elementary school and middle school social studies classes like civics, economics and history. A Spanish minor would lead to licensure in grades 1-8 and would allow you to teach elementary school and middle school Spanish. In order to obtain licensure in Spanish, students must study abroad for a minimum of 30 days in a Spanish-speaking country. A Special Education minor would lead to licensure in grades 1-8 (age 6 through age 13-14) and grades 6-8 (age 12 through age 13-14) in a special education class setting. This licensable minor would be a cross categorical license allowing one to teach individuals with a variety of disabilities. Middle and high school (grades 5-12) teaching majors complete courses in the subject they want to teach (options are listed below). Students also take Teacher Education courses to learn teaching theory and practice. Students may also add a teaching minor to add additional licensure. A Biology Education major would lead to licensure in grades 5-12 and would allow one to teach classes like biology, life science and other natural science classes. A Broad Field Language Arts Education major would lead to licensure in grades 5-12 and would allow one to teach classes like creative writing, English, public speaking, communication and other language arts classes. A Broad Field Social Studies Education major would lead to licensure in grades 5-12 and would allow one to teach classes like civics, world history, economics and other social studies classes. Students choose a concentration in either Political Science or History to teach those subjects at the 11th or 12th grades and advanced placement (AP) courses. A Chemistry Education major would lead to licensure in grades 5-12 and would allow one to teach chemistry classes. An English Education major would lead to licensure in grades 5-12 and would allow one to teach English classes. A History Education major would lead to licensure in grades 5-12 and would allow one to teach history classes. A Math Education major would lead to licensure in grades 5-12 and would allow one to teach math classes like geometry, algebra 1 & 2, calculus and other math courses. A Biology Education minor would lead to licensure in grades 5-12 and would allow one to teach classes like biology, life science and other natural science classes. A Chemistry Education minor would lead to licensure in grades 5-12 and would allow one to teach chemistry classes. An English Education minor would lead to licensure in grades 5-12 and would allow one to teach English classes. A Math Education minor would lead to licensure in grades 5-12 and would allow one to teach math classes like geometry, algebra 1 & 2, calculus and other math courses. A Mathematics minor would lead to licensure in grades 1-8 (age 6 through age 13-14) and would allow you to teach elementary school and middle school math. A Political Science Education minor would lead to licensure in grades 5-12 and would allow one to teach political science classes. A Sociology Education minor would lead to licensure in grades 5-12 and would allow one to teach sociology classes. A Spanish Education minor would lead to licensure in grades 5-12 and would allow one to teach classes like Spanish 1, Spanish 2, Spanish 3 and other Spanish classes. In order to obtain licensure in Spanish, students must study abroad for a minimum of 30 days in a Spanish-speaking country. A Special Education minor would lead to licensure in grades 5-12. This licensable minor would be a cross-categorical license allowing one to teach individuals with a variety of disabilities. UW-Superior offers comprehensive majors in Art Education, Music Education and Physical Education that lead to licensure from Kindergarten to 12th grade in those content areas. An Art Education major would lead to licensure from grades K-12 and would allow students to teach art classes at any age level. A Music Education major would lead to either choral/general or instrumental/general licensure from grades K-12 and would allow students to teach either choral or instrumental classes such as band, orchestra or choir at any age level. A Physical Education major would lead to physical education licensure from grades K-12 and would allow students to teach physical education classes at any age level. UW-Superior is an amazing place to go because of the instructors. They’re like a breath of fresh air, and they remind you that life on this campus is what college should be like. Read more. The support I have received allows me to worry less about the finances and focus more on my studies. The scholarships hold so much meaning to me and make me feel honored to be a recipient. Read more. Interested in teaching high school or a K-12 subject -- physical education, art or music? See the secondary and K-12 teacher certification requirements in the course catalog or the Department of Education.